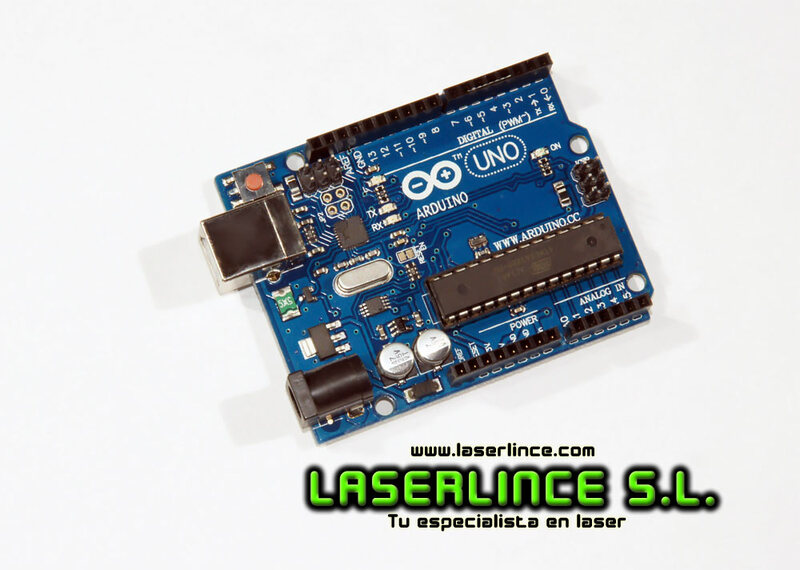 Arduino Uno is a microcontroller board based on the ATmega328. Includes 14 digital inputs / outputs and 6 can be used as PWM outputs. It also has 6 analog inputs, 16MHz oscillator, a USB connection, a power jack, an ICSP header, and reset button. The plate includes everything needed to support the microcontroller. 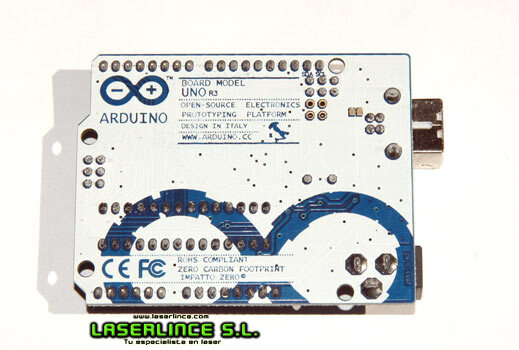 This new model Arduino UNO (rev3) is almost the same as its predecessor but it incorporates a self-supply voltage (DC / USB) through a MOSFET chip built into the motherboard. It also has the new bootloader that allows you to load programs OptiBoot to 115Kbps (56Kbps in the previous version). The bootloader is also reduced in size as only occupies 512 bytes, so it allows even more space for programming. - Supply Voltage (recommended) 7-12V. - Supply Voltage (limits) 6-20V. - 14 Digital Input / Output (of which 6 can be used as PWM outputs). 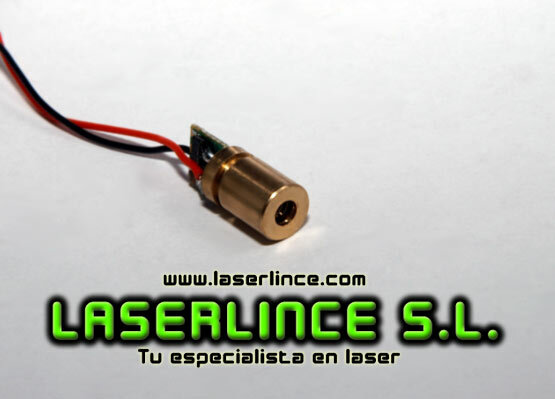 - Maximum Continuous Current 3.3-V pin: 50 mA. - Flash Memory 32 KB (the bootloader uses 0.5 KB). 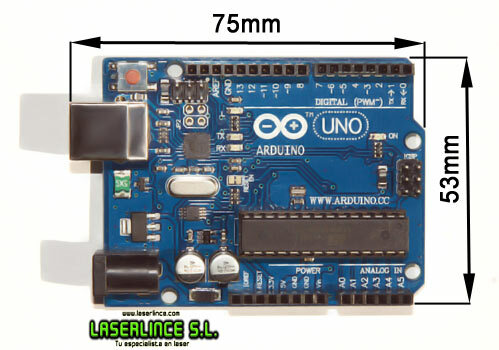 - To program the board is required USB CABLE TO USB TYPE B (not included).